Condition : Hard cover. 260 pages. 80 colour pages. Originally published by Oxford University Press. This second edition has been enlarged and updated. 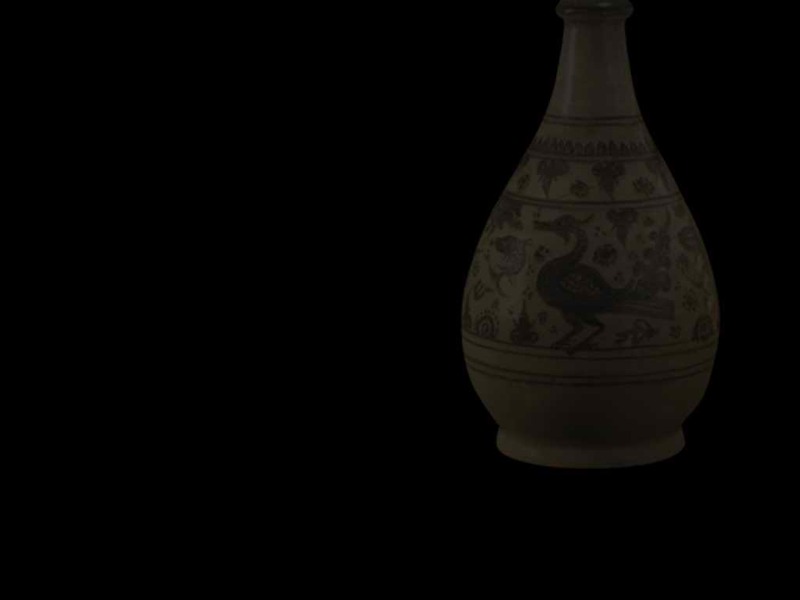 Northern Thai Ceramics is, in its subject, an encyclopedic work. At the same time it is a highly readable narrative. 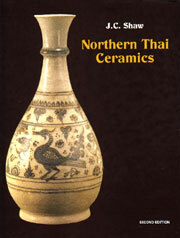 ...on the many questions of northern Thai ceramics John Shaw does not offer absolute answers. He knows too much for that. Since the new road to Chiangrai was completed in 1975, it takes little more than an hour from Chiang Mai to reach the valley of Vieng Papao in which lie the kilns of Kalong, a drive over beautiful high mountains, which form a great barrier to the west of Chiang Mai. In earlier times access was only possible from Chiangrai, and when Praya Nakorn Prah Ram discovered the kilns in 1933, he said they could be reached from Chiangrai in two days with light loads and four days with heavy loads using ponies over the mountain tracks. Kalong was centrally situated to supply pots to the cities of Lanna, none of which was more than a hundred miles distant. The kilns straddle a mountain ridge separating the northward flowing River Nam Mae Lao which passes Chiangrai before joining the Mekong River near Chiangsaen, from the southward flowing River Nam Mae Wang which passes Lampang before joining the River Chaophrya on its way to Ayuthya and the sea.